We hope you’ll join us for this special event. 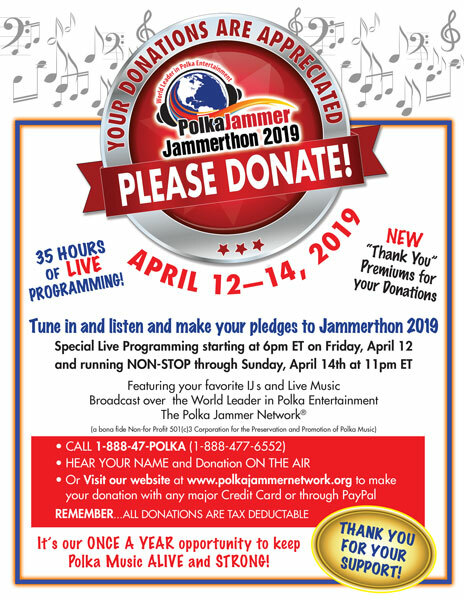 On behalf of our Board of Directors and our IJs, we thank you for helping us to keep the Polka Jammer Network THE “World Leader In Polka Entertainment”! 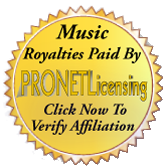 Polka Music Preservation Society (Polka Jammer Network) is a 501(c)3 non-profit organization. Your donation is tax-deductible as allowed by law. The tax deduction is limited to the excess of the contribution over the fair market value of any items received in exchange for the donation. Please check with a tax professional for more information. DISCLAIMER: Due to this special event our WERG Simulcasts will be pre-empted this weekend as well as select weekend shows. Please view our Jammerthon schedule for the entire weekend lineup. The ARCHIVE will be CLOSED from Friday, April 13 through Sunday, April 8 and reopen on Monday, April 15. All JammerThon shows will be posted in the archive as well and will be available for listening anytime for a three week period.